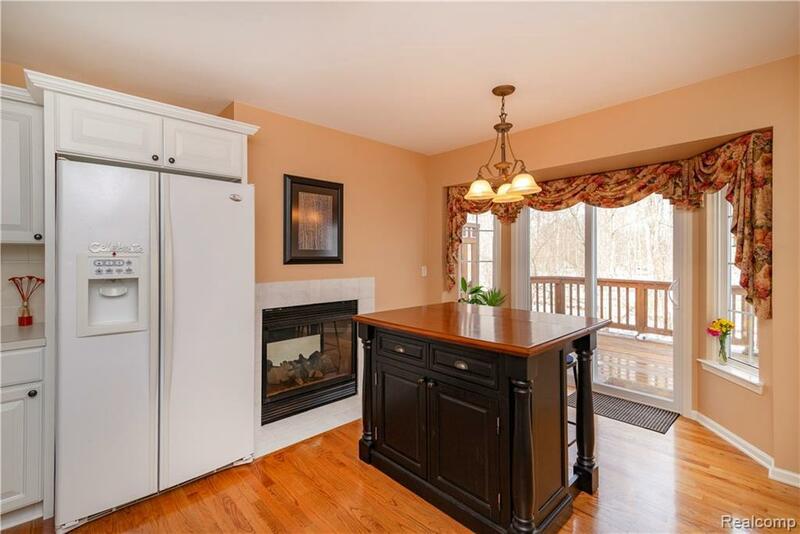 Absolutely impeccable light and bright end-unit condo in Wixom's Maple Forest Courtyards. 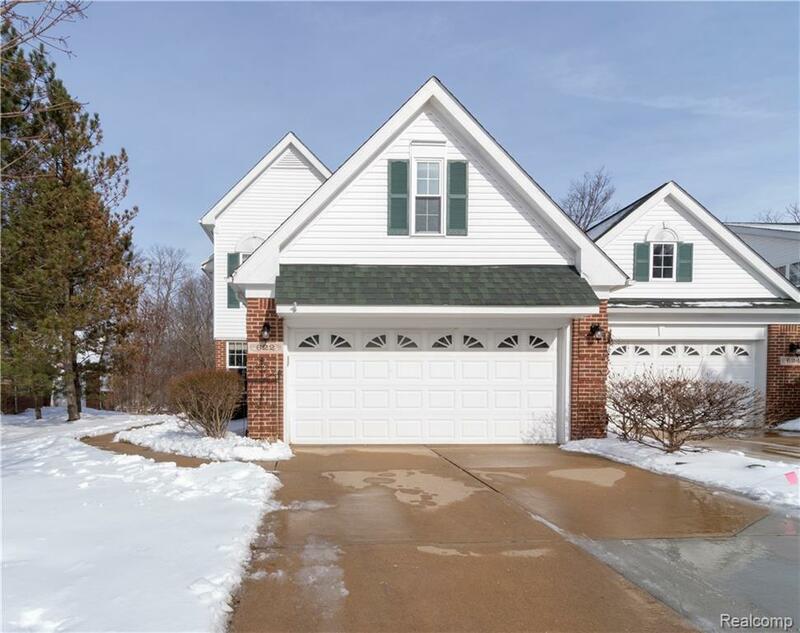 Stunning decor with extensive updates including hardwood flooring through much of the main level, recessed lights, exquisite fixtures, some new windows, and upgraded appliances. Gorgeous dual fireplace in the living room and kitchen. 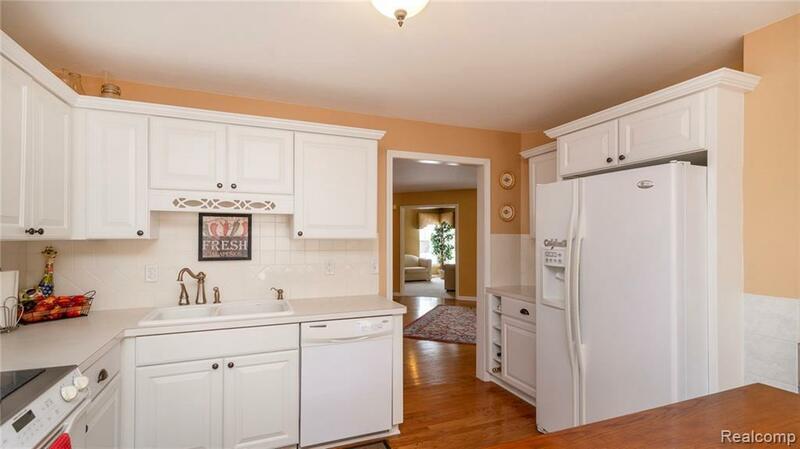 Formal dining room and den as well as first floor laundry and stunning powder room with bead board and wood trim. Master suite has dual walk-in closets and a 9x16 bath with a jetted tub, large shower and dual sinks as well as a sitting area overlooking the wooded natural area. Bonus room over the garage makes a wonderful office or 2nd floor family/play room. 2 car attached garage. Full partially finished basement. Lovely raised deck overlooks the stunning landscaping and coveted pond-side location. Association fee includes exterior maintenance and water. Live in the lap of luxury with no outside maintenance!